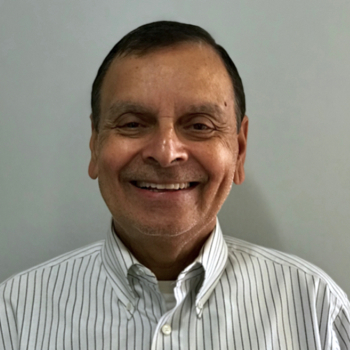 Ashok Wahi the Chief Inventor and CEO of Trutek Corp. a R&D and Product Development Company and the inventor of NasalGuard® a patented technology for filtration of microscopic particles from entering nasal passages joins eHealth Radio and the Health News Channel. Tell me About TruTek and NasalGuard? What was your motivation behind the product development? Also talk about how airborne contaminants are a serious problem both indoors and outdoors – elaborate. When was product invented? Where is it sold? hat tips can you give our listeners about the importance of protecting themselves against airborne particles in the office and outside? Ashok Wahi is the Chief Inventor and CEO of Trutek Corp. a R&D and Product Development Company. He is the inventor of NasalGuard® patented technology for filtration of microscopic particles from entering nasal passages. He has acquired several patents in the US and internationally for this unique electrostatic topical gel that acts as a preventative method for the effects of breathing contaminated air. Ashok was inspired to research and create this technology to aid his own daughter, Aikta, who suffers from allergies from cats. Since then, over twelve million units of NasalGuard products have been sold worldwide so far. Prior to Trutek, he has been a senior consultant to Fortune 25 pharmaceutical companies, hospitals/medical facilities, and higher education institutions in the US for over 40 years. He has specialized in designing state-of-the-art R&D and high-tech laboratories. Ashok received his Master of Science from NYU after completing his undergraduate degree in Mechanical Engineering from India.